This year we plan to support Aylsham First Responders when any money is raised at our events. We had a fund raising raffle for First Responders in Aylsham and raised loads of cash for them. 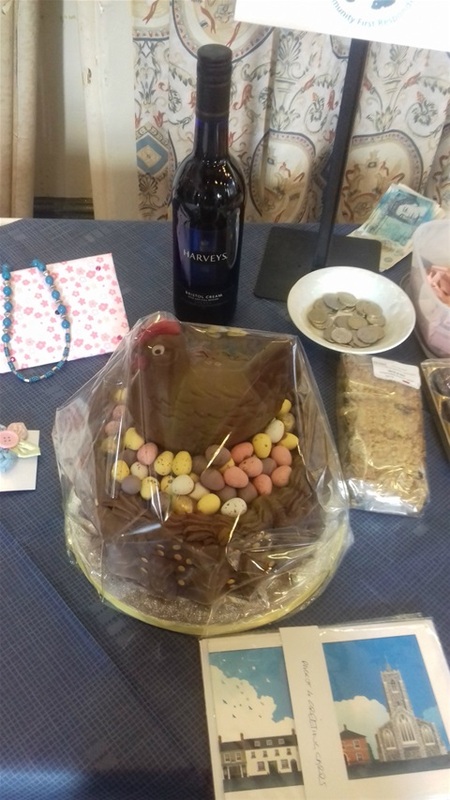 Thanks to Jill Willis for making the lovely Easter cake and to all those who donated prizes. 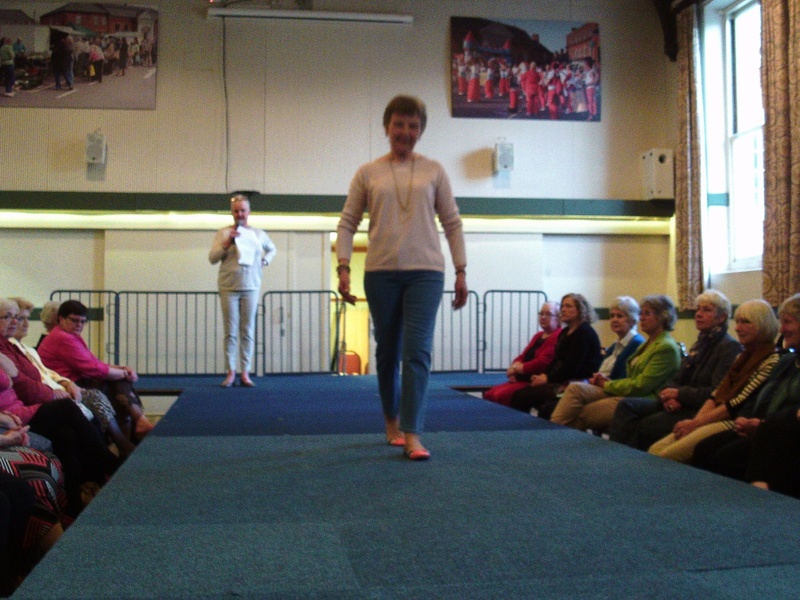 Jean showing her modelling talent!